Android Nougat may not be on a huge number of handsets right now, but if you own a Nexus device or a Pixel device, you’re probably messing around with it already. In case your Nougat experience has been buggy, these are the most frequently reported issues, and steps you can take to fix them. Android, unlike iOS, is installed on a whole range of handsets with a variety of skins and add-ons installed, so it’s not as easy to prescribe specific solutions. That said, there are a few general principles you can follow first, before you get in touch with your handset maker or network operator directly. This is one of most frequently reported problems by early Nougat adopters, and also one of the most difficult issues to pin down, because there are so many potential causes—from a poorly made apps to a phone showing its age. Aside from just waiting for better battery optimization for your device to arrive in the next software update, the troubleshooting steps are the same as they would be on any other version of Android. Try uninstalling apps one by one to see if the issue clears up, or as a last resort try a factory reset (having backed up all your data first). The factory images are available direct from Google for Pixel and Nexus devices if you want to take that route. If you’d rather not uninstall and reinstall apps or wipe the whole operating system, you can dim your display brightness, reduce the screen lock time, disable Wi-Fi and Bluetooth whenever you’re not using them, and make judicious use of airplane mode to try and get as much battery life as possible. Delve into the Battery menu in Settings to see the apps that are using up all your battery juice, and enable Nougat’s battery saver feature, which should give you a few more minutes before your handset dies. Tap the menu button (three vertical dots) then choose Battery optimization to see if any apps have opted out of the battery saver mode without your knowledge. Tap the three dots again then select Reset app preferences to see if this fixes the issue. Various issues have been reported across web forums, so it’s tough to know exactly what the issue might be out of the gates. First start with the basics. If you can, establish that the problem really does lie with your newly upgraded Nougat device by testing other phones or tablets with the Wi-Fi or the Bluetooth that’s causing you problems. If those devices struggle as well then there’s something wrong with your network or Bluetooth connection rather than Android Nougat. Next, try turning your device on and off, or temporarily disabling Wi-Fi and Bluetooth (going into airplane mode for a few minutes is the quickest way to do this). In some cases telling Android to forget and then reconnect to a Wi-Fi network or a Bluetooth device can do the trick. You can do this by tapping on the entry in question in either the Wi-Fi or the Bluetooth menu in Settings. Wiping the system cache partition, where your phone’s temporary data is stored, has been suggested as a solution in some cases (it won’t delete any of your personal data). With your phone off, press and hold the volume down button, then press and hold the power button to turn the device on in recovery mode. When you see the Start message, press the volume down button twice to highlight recovery mode, then press the power button to select it. When you see the android and the red exclamation mark, hold down the power button and tap the volume up button. You’ll get another menu. Press the volume down button to highlight the wipe cache partition option, and the power button to select it, and you’re all done. The quickest fix for an app that’s playing up after you’ve installed Android 7.0 Nougat is just to uninstall and reinstall it. You can also use the app’s entry in the Apps menu in Settings to clear the app’s temporary data cache and stored settings. Both processes should give the app a clean slate to work with, and if it’s still causing issues, then you might want to get in touch with the developer, or at least check out the app’s official support pages (usually linked to from its Google Play Store listing). If it’s the OS as a whole you’re having issues with, and it doesn’t seem related to any app in particular, then you can either sit tight and wait for a fix to come through an official update, do a factory reset through the Backup & reset menu in Settings, or install a fresh factory image from the ones supplied by Google. If you’ve got a Nexus 5X and are experiencing random reboots after upgrading to Nougat, we’ve got some bad news: it looks like you’re one of a small number of people affected by a hardware issue and Google advises looking into warranty and repair options from the place where you bought the phone. 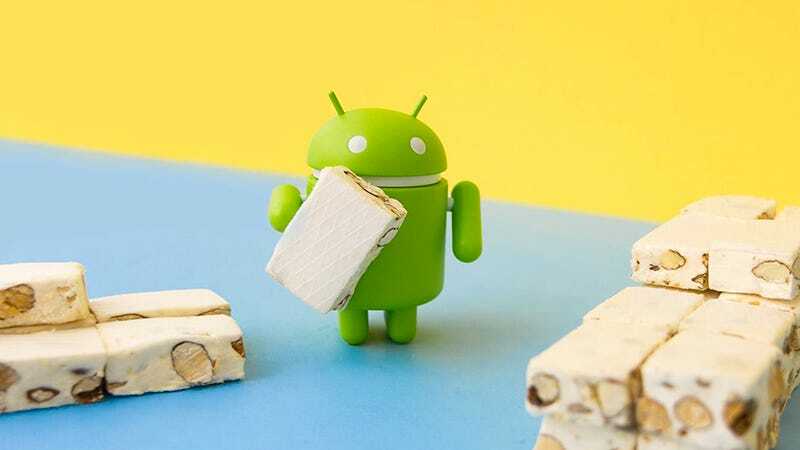 It seems some people have found a fix by reflashing Android 7.0 Nougat, though. Those are the three big issues we’ve come across in our travels around the web, but there are likely to be all kinds of other little issues popping up, as is often the case when a new version of Android rolls out. The simplest and most obvious fix is to keep checking for updates, not just for Android itself but for all the apps you have installed. Any official bugs that have been identified are going to get squashed in this way. Some detective work on the web can help as well: be as specific as possible in your web searches (phone make, model, exact bug and so on) to try and find other people stuck with the same annoyance as you are. If you can’t find any existing reports, try registering the bug yourself through the appropriate channels. For Nexus and Pixel devices, this post has some comprehensive advice about getting Android 7.0 Nougat running smoothly again. Good luck out there.